It was 8 pm on a Friday night when we headed over to the Hope and Ruin to see Opia Bloom’s sold out show. The band was scheduled to come on stage after three great opening acts from MOTH, Little Grim and Kodosapien. As we were getting closer to finally see the headliners, the tiny dimly lit room was becoming increasingly full of people trembling with excitement to hear Opia Bloom hard-hitting tunes. As weird as it may seem, Brighton is a hard place to sell out a venue. Selling out a show means being able to stand out from the massive cluster of bands that inhabit the local music scene. 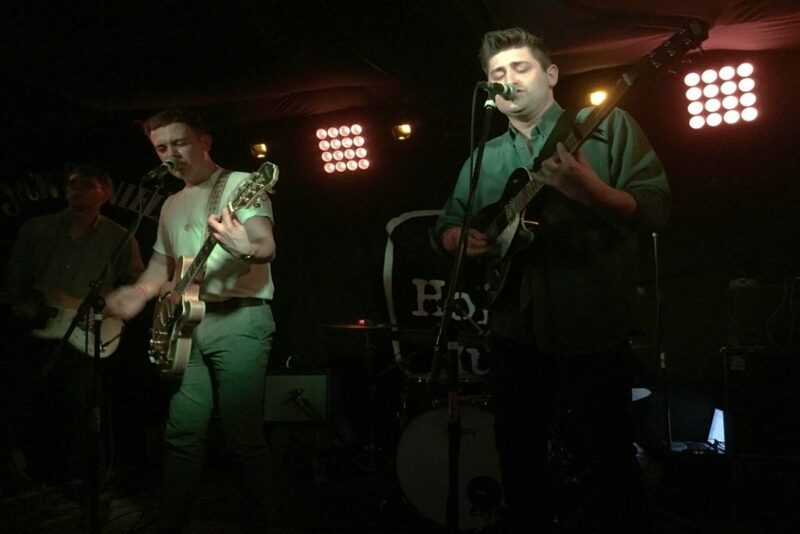 “It’s a first for us”, commented John Bergin (bassist), when talking about selling out at the Hope and Ruin, “it was special doing it here for us because we love this venue and every time we played here it’s got the best sound in Brighton.”, added lead singer Jack Mackey. The band clearly have a special connection to the city. “Even though our first gigs were in Tunbridge Wells, we feel like a Brighton band and we’ve been treating the city as our hometown,” says Jack. 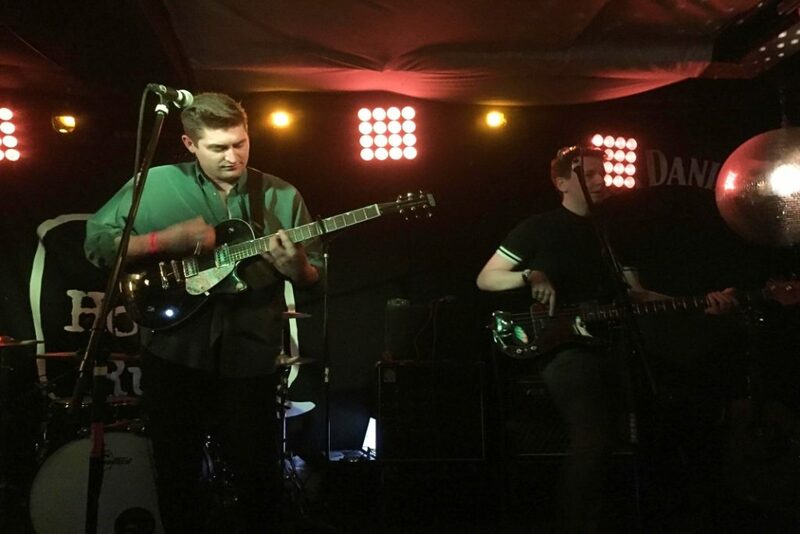 However, the ensemble doesn’t let the Brighton music scene intimidate them or influence them too much, as their songs stand out thanks to their piercing and at times melancholic tunes. As soon as the five-piece group mounts the stage with “Like you never”, the crowd started going wild and by the time they started playing their latest release, “Side by Side”, the audience could hardly contain their excitement as some of them were shouting along with the ballad-like lyrics while others were too busy dancing to the powerful guitar riffs. When talking about their writing process, Jack describes it as “very odd”; “I’ve no idea of what I’m playing half of the times. In my head, I’m like Phoebe from Friends when she goes ‘claw’ to know what chord to play” he jokingly continues. “Jack comes up with original stuff, we go around and play with it, and it just makes sense. 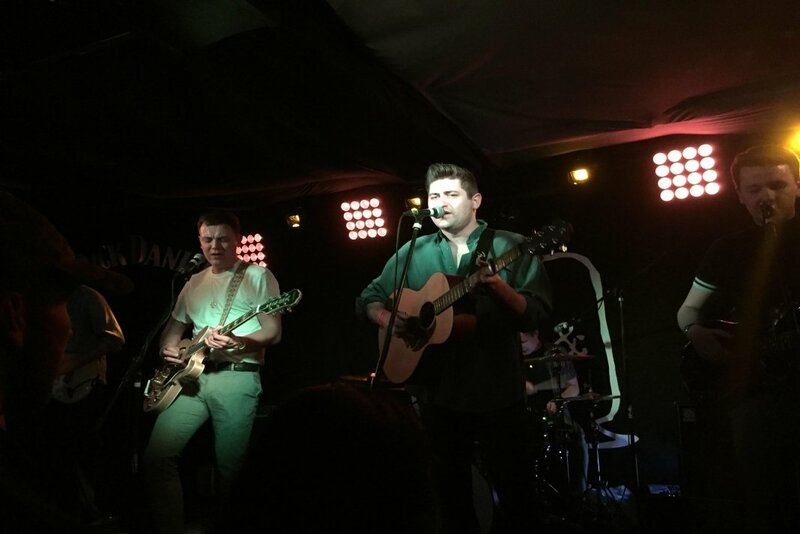 It doesn’t end up sounding like anything we’ve already heard” added Sam Frost (singer/guitarist) in Jack’s defence. This comradery and friendship between the members of the band is obvious when talking to them, but it’s even more blatant when they’re up on stage and make fun at each other’s expense in between songs. Nevertheless, their organic sound does not come as fast as it may seem and certainly not without a heavy dose of self-doubt. “We’d play a song for a year before we record it. Cut out bits, if certain sections are too long or if it doesn’t work in the room. You might love it when you’re writing it because you might be particularly proud of it, but then other people might not appreciate it and you have to swallow your ego a bit.” explains Alex Howis (drummer); “Sometimes it’s just the five of us in our own bubble asking ourselves “is this as good as we think it is?”. The last song they performed on Friday was their first single, “Fire”, which starts with a dramatic melody and by the first half of the song, it erupts in an anthem-like chorus to which the crowd could not help but sing along to. However, their audience was not ready to let the night end as they shouted for an encore whilst the band was getting off the stage. Opia Bloom will be playing at the Camden Assembly in London on the 16th of March (tickets here).